Viacom International Media Networks is planning to work closer with advertisers to help them take advantage of the increasing number of events it has been hosting. Philip O’Ferrall, the senior vice president for commercial innovation, said the network wants to create more "transactional deals and integrate brand partnerships in a more meaningful way". He spoke to Campaign at Viacom’s Showcase event in Milan yesterday, ahead of the Europe Music Awards this evening (Sunday, 25 October). 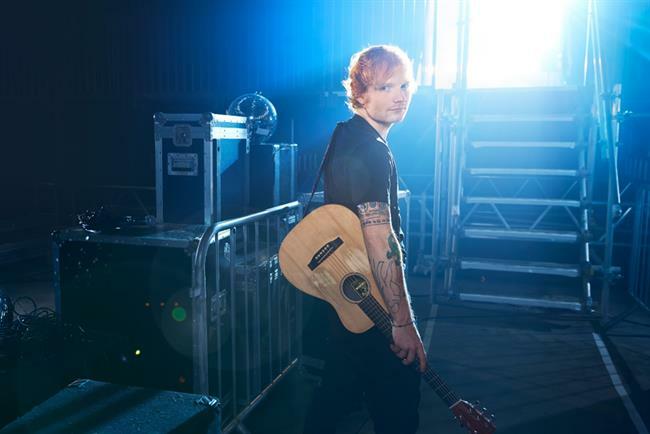 The EMAs will be co-hosted by singer-songwriter Ed Sheeran, alongisde Ruby Rose, the model and presenter. O’Ferrall explained Viacom has been building on the events it has been putting on in different cities around the world, such as MTV Crashes Plymouth in July. With this the brand creates a conversation around the event on social media, encouraging people to take part in votes and competitions, up to three months ahead of the occasion. O’Ferrall said Viacom has not been going out to market enough to explain how beneficial the audience conversations can be to brands. He said: "We have [spent time] on building lots of events and are now taking it to the next level of showing the experience we can create for brands. We have not been shouting about our successes enough." Earlier this month Viacom rebranded its London-based ad sales team as Viacom Velocity International. The brand already operates in the US and focuses on "content-led marketing innovations". O’Ferrall is heading up the new division, which brings all the digital teams together with client services and sales. Viacom also presented its new suite of TV and games apps called Viacom Play Plex. It allows users to watch their favourite shows and channels whenever and wherever they like. They will be able to tune into shows from MTV, Nickelodeon, Paramount, BET, Comedy Central and Spike. It will have a live linear video functionality and give viewers suggestions on which shows to watch. There will also be a range of children’s games available.